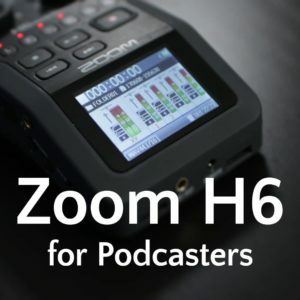 The accessibility of podcast shownotes is important, but forgotten by most podcasters. 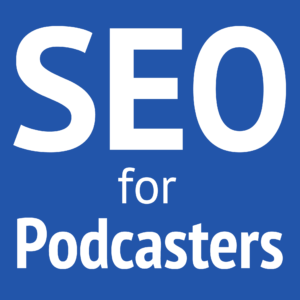 Learn how to make short, easy-to-use URLs with Pretty Link for each of your podcast episodes. You have heard many podcasters—or maybe even yourself—say, “Get the links in the shownotes at mypodcast.com.” That may seem all right, but what if they’re listening to an old episode? Many podcasters will at least mention the episode number, “Get the links in the shownotes for episode 35 at mypodcast.com,” but they still aren’t making it easy for listeners! Subdomains are supposed to be a segregated section of a website (like testing.mypodcast.com), or a completely different website that is a member of a main site (like most of the WordPress.com or BlogSpot.com sites). Using subdomains as redirects (redirecting visitors from one place to another) can be effective for technical, back-end stuff (like making media.mypodcast.com redirect to your separate media server), but I recommend against basic redirects. Unless your website server is setup right, visitors may have problems visiting your subdomain. Do you know how many people still type “http://” or “www.”? Will your subdomain work if “www.” is prepended? As I shared when I talked about shownotes URLs for search-engine optimization (SEO), let your complete URLs be based on your episode/post titles. Don’t shorten it by changing WordPress’s permalinks. Never speak your long URL; no one will remember it. Instead, make short, easy-to-remember URLs with free Pretty Link (Lite Version) plugin for WordPress. If you run only one podcast on one website, then this is easy to setup. Install Pretty Link (Lite Version). In the lower-left of your WordPress admin, go to Pretty Link > Ootions. 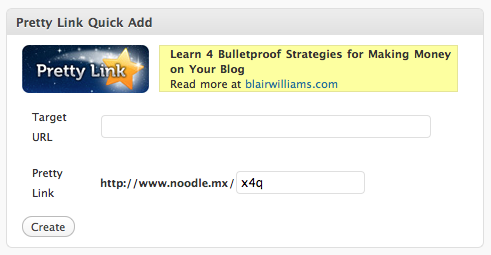 When writing the blog post for your shownotes, click Get Shortlink. This button will not be visible until either you have saved a draft or published. Copy the URL, which will be your domain with “/?p=” and a number appended. This is the absolute URL to your post and it never changes, even when you rename your post or change the permalink. Access either Pretty Link Quick Add from your WordPress Dashboard, or Pretty Link > Add New Link in the lower-left. Paste the shortlink into Target URL. Type something short into Pretty Link. If you’re running a single podcast on your website, then I recommend the super-simple method of a number (1, 15, 130, etc.). The title and description fields can be left blank, but the title will be automatically pulled from the post title. If you URL parameters (the stuff following a question mark in a URL, such as “?utm_source=tap024&utm_medium=Tweet&utm_campaign=tap024”) for advanced Google Analytics or anything else, you must turn on Parameter Forwarding in the Link Options for every Pretty Link. Do this for all of your podcast episodes, and your listeners can easily get to your shownotes by typing in mypodcast.com/24. While Pretty Link offers “Lite Version” for free, there are some great benefits to upgrading to Pretty Link Pro, which I do recommend. Skip almost all of the above steps by enabling Create Pretty Links for Posts in Pretty Link > Pro Options > Page and Post Options. This creates a new widget in your Edit Post page where you can create a Pretty Link without leaving the page or copying anything! Under these same options, you can enable Automatically post to Twitter when a Post is published. Pretty Link > Pro Options > Twitter Options inserts a Tweet badge in your posts, making it easy for people to share your post and use the shortened URL. You can also display Twitter comments, and links to other social sharing services. Pretty Link Pro is $37 for a single site, or $97 for unlimited sites. I purchased it for Noodle.mx and I’ve been very happy with how much time it saves me. This is all easy if you run a single podcast on your WordPress blog. However, this may not work if you have a network, as I do. Each of my podcasts has its own domain and I tell listeners of those shows to access the shownotes through that podcast’s domain and episode number: “TheAudacitytoPodcast.com/23,” “theRamenNoodle.com/56,” and “AreYouJustWatching.com/ir13” (the “ir” is because I run two different kinds of episodes for that podcast). If you want a similar solution for your podcast network, then the best way for you to do that is to hire me to set it up for you. Once I set it up, then I can show you a simple formula that varies only slightly from the above steps, but works for all of your separate shows with their own domains. 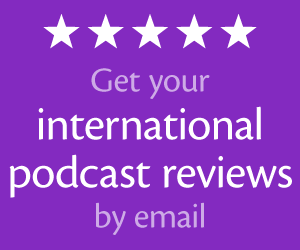 After I set it up for you, you wouldn’t need my help again until you add a new podcast to your network. But I won’t keep it a secret. The way to accomplish this is by redirecting your separate domains to categories on your site; using regular expressions (a way to search and replace information based on formulas) to add several rules to your .htaccess file, either directly or through a plugin; adding more rules to account for one-, two-, and three-digit numbers; and changing your Pretty Link URL patterns. Sound complicated? It is, so that’s why you should hire me to do it for you! Price depends on how many podcasts and how many episodes you have. Email feedback@TheAudacitytoPodcast.com to request a quote. Blubrry PowerPress Podcasting plugin updated to 1.0.12, includes bug fixes, a new tag for placing their player in your WordPress templates, and more. My Soundboard 2.0 trial expired. Since I still don’t think Soundboard 2.0 is worth $49, I’m going back to PodProducer via Code Weavers Crossover Mac. I have a network and currently run 3 shows. I'm an advanced website creator. I'm gooing to end up messing with my .htaccess file aren't I? If you want simple "myshow.com/24" and "myothershow.com/12" URLs, then yes, you'll have to edit the .htaccess. However, I'm examining a couple WordPress extensions that insert the rules for you, but you still have to know a little regular expressions to make the rules work. Like I said, a few years ago I did A LOT of work with .htaccess files. I'm really not sure if I want to mess with it. I'll just have to decide what I want to do when I actually have time to mess with it. I may blog or even podcast the more advanced method, but sharing some shortcuts. If I do, I'll be sure to let you know. Hi Daniel – I just splashed out for Pretty Link Pro – but I can’t see how to have it allow me to add a custom link from on the page as I write it. Is that possible with the current version? I am planning to Pretty Link instead of all the manual redirects I was doing for my domains. Is there a way to have it use a variety of different base domains? I’ve also asked these to their support forum – but thought I’d ask you too! Go into your Pro options and set it to automatically add Pretty Links for all posts and/or pages. This will give you the easy entry field on every new post/page. It depends on what kind of manual redirects you’re talking about. I use .htaccess rewrites in combination with Pretty Link to make links like http://ndl.mx/tap024 and https://theaudacitytopodcast.com/24 work. It’s quite technical. What I’d recommend is set your short domain to forward, including the path, to your main domain, or else park it on your hosting (depending on your host). That’s what I do for ndl.mx. Any shortened link using ndl.mx simply forwards to noodle.mx and is then handled by my more advanced podcast-network system (since I have podcasts across multiple domains). thank you, thank you, thank you!!! so simple and works perfectly!